Excellent location!!! Situated across from a large green space with playground & is walking distance to all schools (brand new & older) in Evergreen! 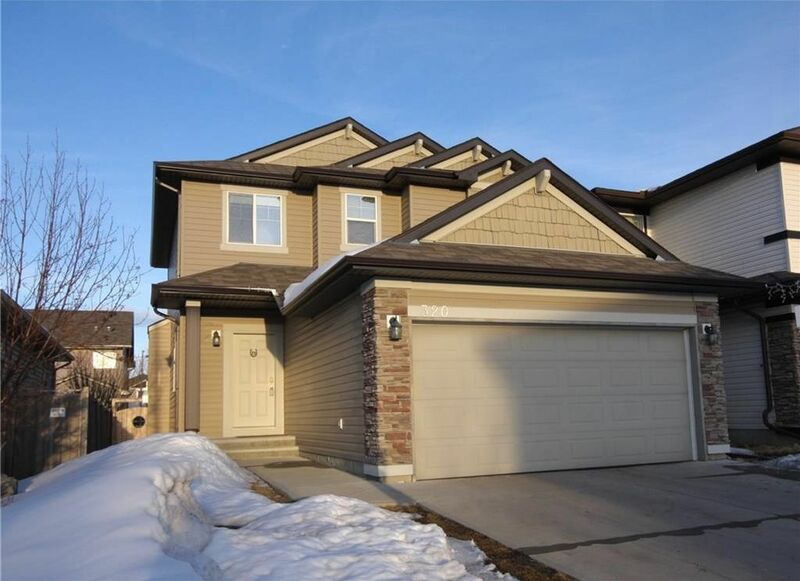 Hardwood floors & 9’ ceilings are found on the open concept main floor that offers a den, laundry room, 2pc bath, living room with centered gas fireplace, & dining room with direct access to the large deck. Kitchen comes complete with stainless steel appliances, island, eating bar, & walk in pantry. Upstairs is home to 3 large bedrooms, 4pc bathroom, & linen closet. The master retreat has a large 4pc en suite featuring corner soaker tub, glass surround shower, & dual closets. Spacious back yard is fully fenced and has a large deck. Fish Creek Park, amenities, playgrounds, & schools are all just steps away!